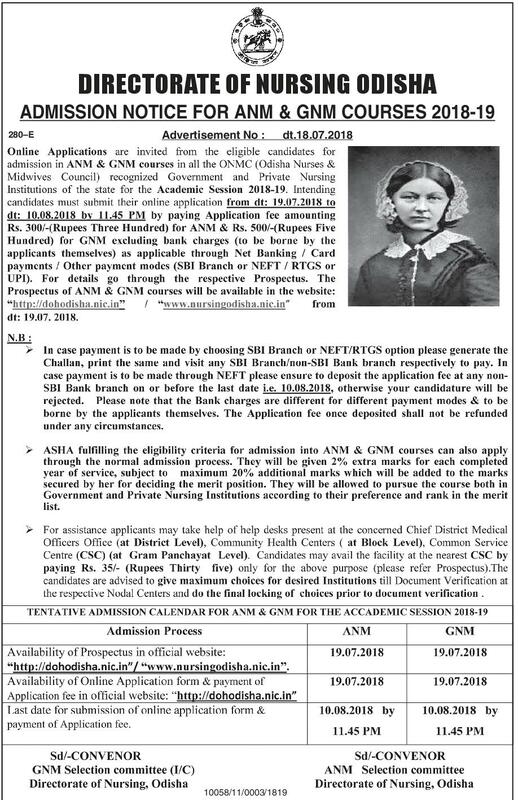 Director Of Nursing Odisha Published Admission Notification for GNM & ANM Courses 2018-19. Now Interested Candidates Can Apply through Online Mode. Now Candidates Can Check Details Advertisement & Eligibility. 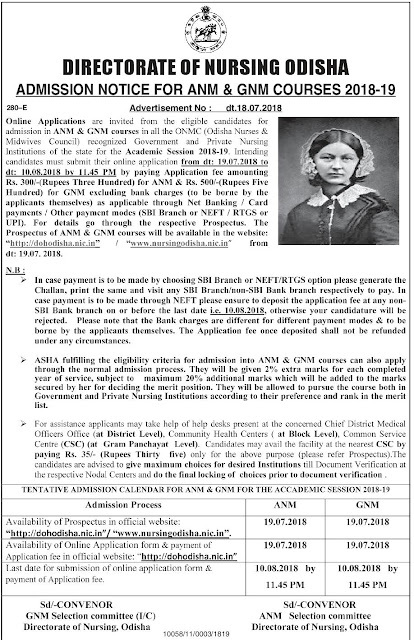 Online Applications are Invited from the Eligible Candidates for admission in ANM & GNM Courses. Now Candidates can take admission into Various Govt & Private Nursing Schools. Eligibility- Candidates Must Have Passed 10th, +2 Science from Recognized Board. ANM & GNM Registration will be started from 19/07/2018. Candidates Can Apply through http://dohodisha.nic.in or http://www.nursingodisha.nic.in/ website.